Super Savings Item! 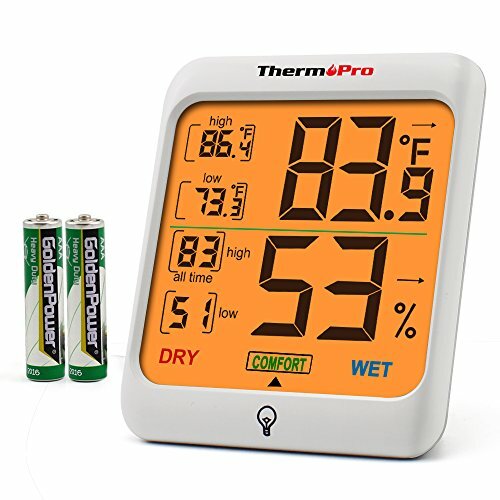 Save 37% on the ThermoPro TP53 Hygrometer Humidity Gauge Indicator Digital Indoor Thermometer Room Temperature and Humidity Monitor with Touch Backlight by ThermoPro at Grow Website. MPN: TP53. Hurry! Limited time offer. Offer valid only while supplies last. 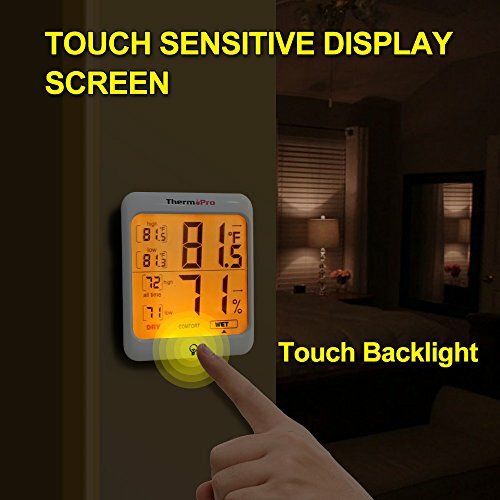 Thermopro TP53 Hygrometer Digital Thermometer Humidity Gauge Room Thermometer, Humidity Temperature Monitor with Touch Backlight Features: 1. 1. 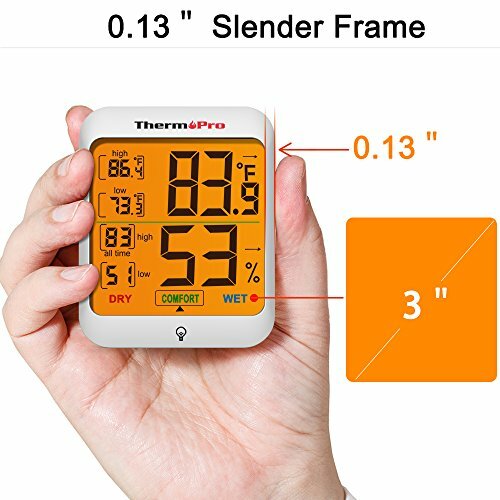 0.13‘’ Ultra narrow frame allows for a larger screen to provide huge digits to display the current indoor temperature and humidity percentages. 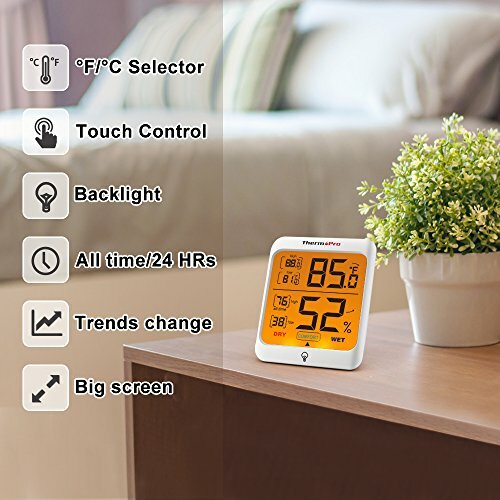 2.Yellow backlight is bright and makes the screen easy to read and helps avoid eye strain in low light, and automatically turns off after 15 seconds. 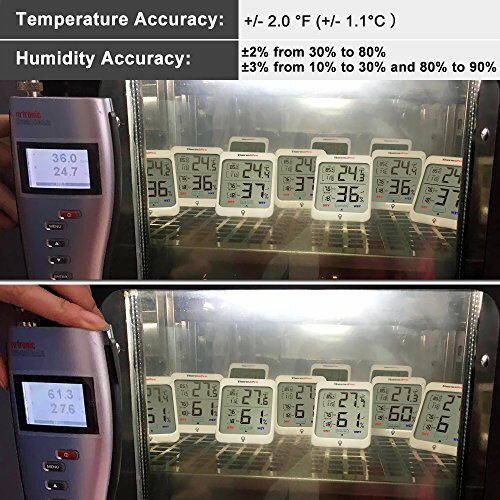 3.Temperature and humidity trend indicators. 4. 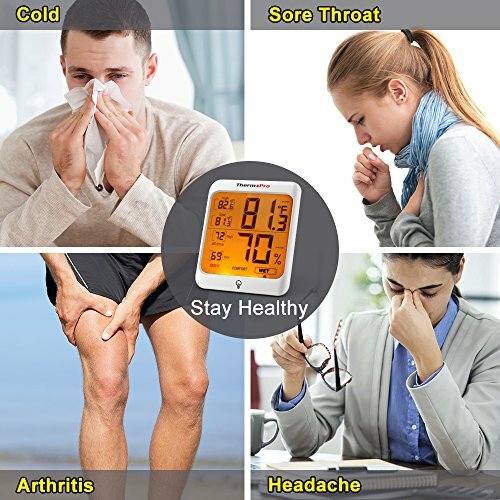 Includes all-time / 24 hours high and low records for temperature and humidity. 5. 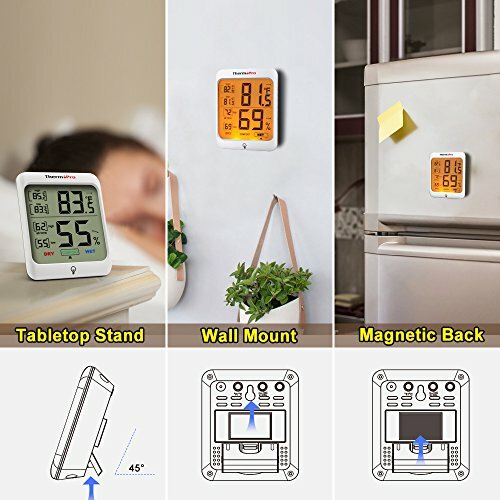 Easily reset the temperature and humidity with the press of one front facing button. 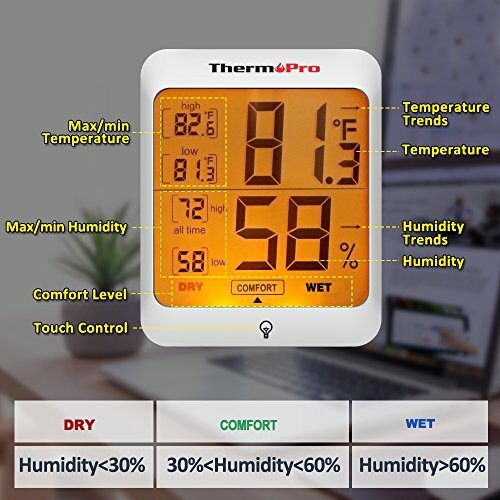 If you have any questions about this product by ThermoPro, contact us by completing and submitting the form below. If you are looking for a specif part number, please include it with your message.